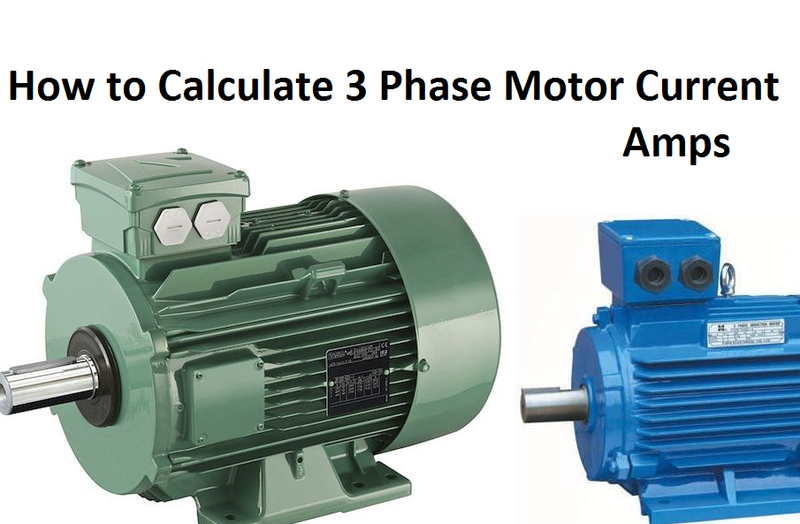 Today I am sharing with new the simple and easy 3 phase motor current calculation formula for LT motors. In this post I am sharing with you a nameplate of 3 phase low voltage induction motor. In the name plate all data given my manufacture company. 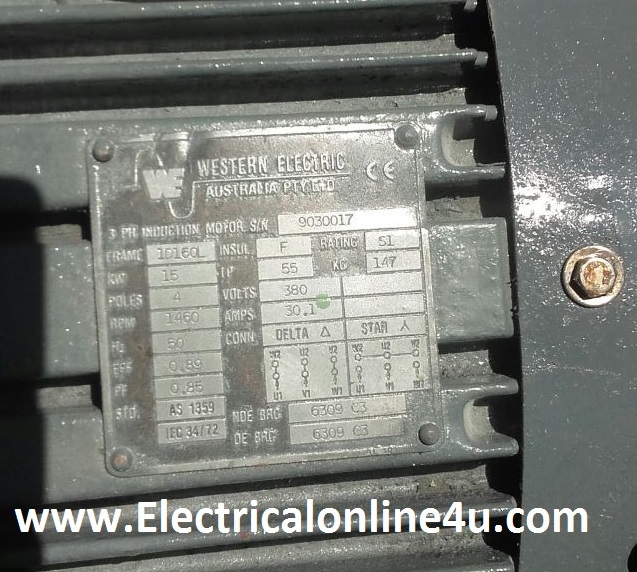 In the below image I shown a 3 phase motor nameplate. In the motor name plate the company provide the motor is 15 KW 3 phase induction motor. The Eff of motor is 0.89 and PF is 0.85. The volts of the motor 380V and Amps are 30.1. So this data is provided by the company. Now first see the image and after that we start doing current calculation of 3 phase motor. That how comply calculate the current of three phase motor and how 30.1 amperes are given in nameplate. For 3 phase low voltage motor current calculation we need the motor volts, Eff, PF. For three phase motor amps calculation the below formula is used. 3 phase motor current calculation formula is P/(√3xVxPfxEff) or P/(1.732xVxPfxEff) Both are same. So our motor power is 15KW with 15 x 1000 = 15000 Watts. Motor volts is 380 volts, Eff is 0.89 and PF is 0.85 according the above nameplate. 15000/(497.89) So 15000 / 497.89 = 30.12 Amps Or Load current of motor. By using this formula you can calculate the 3 phase low voltage motor. This is very simple and easy formula. I hope this 3 phase motor current calculation formula (how to calculate 3 phase motor current) help you. And know you will be able to calculate the load of 3 phase motor by using the above load current formula. Now if you have any question or want to gave us some suggestion about our blog then you can use the below comment section. if possible write about formula or any calculation. Be attaching the Circuits with videos please for better understanding.